Football transfers can play in major part in shaping up the future of the club. With the amount of money being invested into football today, top European clubs are financially capable of spending top dollar to bag the most desired players of the world. 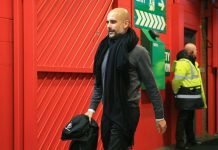 From the Galacticos of Madrid, to Roman Abramovic’s blue army to Sheikh Mansour’s mighty Manchester City, clubs have gone a long way to attract the brightest talent of the generation. But transfers are calculated risks which may not always go one’s way. Just ask Roman Abramovic ,who paid 50 million pounds to bring in Fernando Torres from Liverpool to Chelsea and we all know how that turned out. There have been numerous cases like Fernando Torres’s which just did not turn out as planned. So without further ado, here are five of the Worst Transfers in Football history. Manchester United signed Argentine midfielder Juan Sebastian Veron in the summer of 2001 for a, what was then a British record, fee of 28 million pounds. Veron came in with huge expectations after his success in Italy with Lazio. He started off well in the Premier League but slowly faded away as his performances dipped towards the middle of the season. Veron would go on to spend three seasons with Manchester United making just 82 appearances for the club. The midfielder then spent one season with Chelsea before moving to Inter in 2005. The one that got away. Manchester United broke the British transfer fee to sign Di Maria from Real Madrid in the summer of 2014. The Argentine winger would go on to spend just one season with the club. Di Maria had a nightmare time in Manchester United under manager Louis Van Gaal. Surprisingly, the pacy winger initially endured a bright start to the season, coming up with crucial goals and assists. But, injury plagued his season, eventually losing his place to Ashley Young. 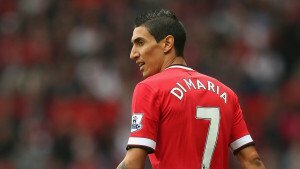 And to make matters worse, Di Maria’s house was robbed in December of 2014 which destroyed his mentality. After a falling out with fellow players and the manager, Di Maria moved to PSG the following season for a fee of around 45 million pounds. 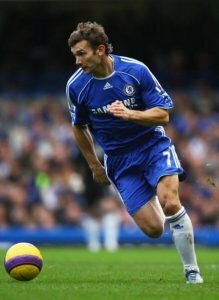 Andriy Shevchenko signed for Chelsea in the summer of 2006 in what is considered as one of the worst transfers of all time. Shevchenko had a reputation as one of the hottest strikers in Europe after his exploits with AC Milan. Chelsea owner Roman Abramovich was a huge fan of the Ukrainian, forcing Jose Mourinho to sign the forward. 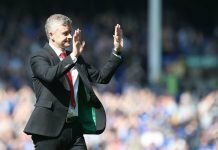 However the move turned out to be fruitless as Shevchenko failed to meet the highly demanding standards of the Premier League. He scored just 22 goals in two seasons for Chelsea before being loaned back to Milan. The last player to beat Cristiano Ronaldo and Lionel Messi to the Ballon d’or prize, Kaka was an absolute gem of a player. He helped Milan to the Champions League trophy with some breathtaking performances. Kaka moved to the Bernabeu in 2009 for 56 million pounds. However he could not quite live up to his lofty standards as he suffered numerous long term injuries throughout his time at Madrid. After an unsuccessful stint with Real, the Brazilian moved back to Milan in 2013. However he could never quite regain the form he once had during his prime. Kaka, who signed for Real Madrid in 2009 presents himself to the Madrid faithful. There could be no other transfer that could claim the top spot in our list. 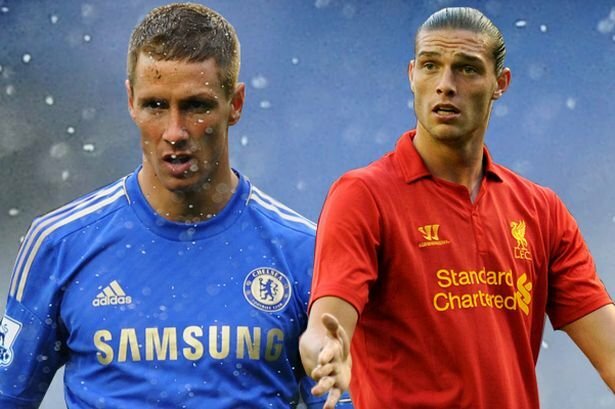 Torres’s transfer to Chelsea still remains one of the most high-profile in transfers in Premier League history. The Spanish forward signed for Chelsea in the winter of 2011 for a fee worth around 50 million pounds. After his spell with Liverpool where his performances earned him the tag of the ‘World’s Best Striker’, much was expected of him at Stamford Bridge. However Torres miserably failed to reach the heights he achieved at Liverpool. It took him 14 appearances to score his first goal for the club, scoring just 44 more in 172 appearances for the blues. However the Champions League Trophy served as a major silver lining for Torres during his time in west London. He finally left Chelsea in 2015 and eventually joined his boyhood club, Atletico Madrid. Fernando Torres turned out to be a huge disappointment for Chelsea.